Designed with precious ingredients, each styling product shapes, sculpts and perfects your style. Exquisite tools for ultimate precision. Iconic Cleansing Oil range for all hair type. Silk Bloom for damaged hair and Ultimate Remedy for ultra damaged hair. 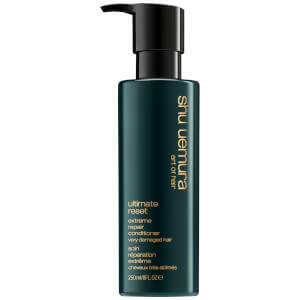 The Shu Uemura Art Of Hair Volume Maker is a root-boosting hair powder that adds volume and body to any hairstyle. Giving hair texture and definition, the invisible powder works on all hair colours and also helps to refresh hair between washes. Easy to apply with the automatic click brush, the more powder you release, the more volume you'll achieve. In 1958 Shu Uemura set forth to revolutionize the world of make up. For the past 50 years he has striven to reinvent new standards in beauty. 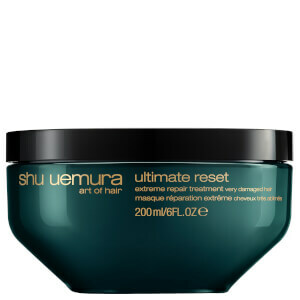 Shu Uemura art of hair brings together artistic touch with the intelligence of nature and the integrity of science to create the unique world of Shu Uemura. Exclusively created to enhance the artistry of every elite hair salon of the world. 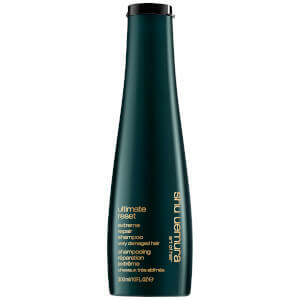 Style unruly hair with Shu Uemura Art Of Hair Master Wax. The lightweight product forms, controls and smoothens even the most difficult hair types, with a lasting hold. Containing Japanese tree extract with antioxidant properties. The non-sticky wax remains light and invisible on the fiber, leaving the hair disciplined and full of shine.